Posted on August 13, 2015 | Comments Off on Have You Had Your Flavonoids Today? Flavonoids, you say? You may not have heard of them, but you are likely experiencing some of their health benefits if you are regularly drinking tea, eating colorful fruits and veggies, or are enjoying a glass of red wine with dinner. There are over 5,000 identified compounds of naturally occurring plant pigments known as flavonoids. In general, the more colorful the plant-based food, the more beneficial flavonoids it contains. As antioxidants, flavonoids play a role in reducing heart disease, stroke and cancer risks and may protect against cognitive and age-related functional decline. Flavonoids, however, are not just your average antioxidants. Scientists have discovered that certain flavonoids have anti-inflammatory, antiviral, antimicrobial, anticancer and antihistamine benefits and may have mood and memory enhancing properties as well. Flavonoids are bioactive phytonutrients that are chemically classified as polyphenols. Also known as flavonols, isoflavones and anthocyanidins, flavonoids play a wide variety of roles in human, plant and animal health. Flavonols are believed to be plant protective and play a functional role in plant wound repair and providing living plants protection against pests and diseases. In the human diet, whole plant foods provide life sustaining essential nutrients and other beneficial compounds. In addition to basic nutrition, the bioactive components found in functional foods are not only health promoting, they also play a significant role in chronic disease prevention. According to The American Journal of Clinical Nutrition, it is estimated that one third of all cancer deaths in the United States might be avoided with appropriate dietary changes, including increased consumption of nutrient dense fruits and vegetables, legumes and whole grains. 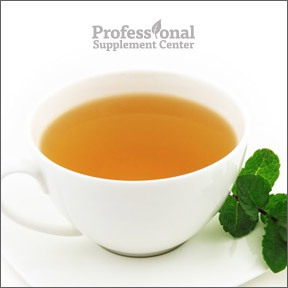 In addition to fruits and vegetables, tea is rich in polyphenols, the antioxidants that counteract cell-damaging free radicals. Green tea, for example, contains high concentrations of the polyphenol EGCG, which has great antioxidant and anti-carcinogenic properties, along with distinctive benefits for protecting the brain and nervous system against diseases such as Alzheimer’s and Parkinson’s. Research suggests that those who drink 2 cups or more of tea daily have lower total and LDL cholesterol and are less likely to suffer a heart attack or stroke. There is also evidence that tea drinkers have lower levels of the stress hormone cortisol and are able to recover more quickly from stress related issues. Good news for chocolate lovers — dark chocolate with a high cocoa content (70-90%) contains flavonols that may reduce arterial inflammation, lowering the risk of plaque formation in the arteries that can lead to heart disease and atherosclerosis. And according to Harvard Health Publications, dark chocolate and unsweetened cocoa may help lower cholesterol and blood pressure and may have positive effects on blood clotting and insulin sensitivity. The bad news — you don’t need to eat much to enjoy the health benefits. Just a few small squares or about 1/2 oz. daily is all you need. And watch out for added sugar and milk, ingredients that drastically reduce the beneficial effects. Ideally, raw organic dark chocolate is the healthiest, as the darker and less processed the chocolate is the more cacao seeds and healthy compounds it contains. The National Academy of Sciences recommends consuming a minimum of 5 servings of fruits and vegetables daily to promote adequate intake of their synergistic health promoting and disease preventive phytonutrients. Two good things to remember — take a walk on the wild side and choose a wide variety of colorful foods, including some you may not have tried before. And be sure to include some raw foods, as the closer the food is to its natural raw state, the higher its nutritional value, providing greater benefits for your overall wellness. Phytoganix™ by Metagenics – Designed to provide a daily supply of certified organic phytonutrients, this convenient, delicious and highly nutritious powdered formula supplies antioxidant-rich superfoods along with polyphenol-rich green tea, herbs, vegetables and fruits. Gluten free, Non-GMO vegetarian formulation. Nitro Greens® by Biotics Research – This whole food concentrate supplies an all organic proprietary blend of greens, veggies, fruits and sprouts to supply a rich source of phytonutrients, including polyphenols and isoflavones, as well as naturally occurring enzymes, vitamins and trace minerals. Gluten and dairy free. Bioflavonoid Complex by Douglas Labs – This synergistic formula supplies naturally sourced antioxidant citrus bioflavonoids to aid in supporting circulatory and immune health and the healthy metabolism of collagen, cholesterol and histamine. Gluten, soy and dairy free. Ultra Greens pH by BioGenesis Nutraceuticals – This nutrient-rich powdered greens formula contains phytonutrients, antioxidants and supportive enzymes and provides a simple and convenient way to improve overall nutritional balance and support balanced body pH. 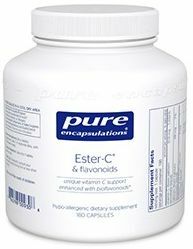 Ester-C® & Flavonoids by Pure Encapsulations – This formula provides natural, non-acidic, bioavailable and highly absorbable vitamin C plus complementary flavonoid compounds in support of synergistic antioxidant, immune and vascular integrity support. Non-GMO formulation. This entry was posted in Home and tagged Bioflavonoid Complex by Douglas Labs, Ester-C & Flavonoids by Pure Encapsulations, Flavonoids, Nitro Greens® by Biotics Research, Phytoganix by Metagenics, Professional Supplement Center, Ultra Greens pH by BioGenesis Nutraceuticals, Vitamins and supplements, www.professionalsupplementcenter.com. Bookmark the permalink.